Hi Everyone not much post for this exam so I thought I'd add one for this. Took the exam today passed with 848/1000. passing score for me was 810. Exam was pretty straight forward. CBT Nuggets - 100-105 200-105, videos were great. 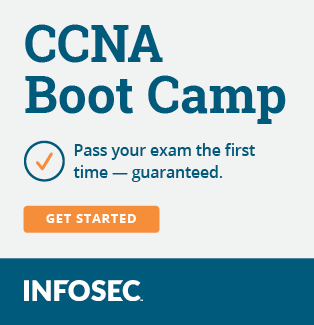 Udemy Chris Bryant CCNA - was on sale $10 really good resource to use. GNS3 for lab more than enough for CCNA hands on. studied for about 2 months. about 2-4hrs a day, at least 5days a week. after watching a video with configurations like OSPF. I'd lab it in GNS3 that would take me at least a good 1hr. I always start from scratch that way you have to do everything IP address, routing protocol etc. only thing you cannot really lab with GNS3 are switches. good thing we got couple of 3550/2950 switches at work. 1st off, congratulations on becoming CCNA certified. Can I ask, do you work in the field of Computer Networking already? The reason I ask, is that I've read (on here, most probably) that for someone with experience in the field, taking the composite exam is possibly a good option, but not for someone with no experience in the field; better to site the two exams. What would your advice be, please? p.s: I've taken on board the closing comments in your post. Thank you. @Rob42, yes I am already in the field. worked for an ISP for 4yrs in NOC. for someone with no experience the best path in my opinion is the 2 way exam. that way you can focus on ICND1 then 2. Focus on ICND1 like I mentioned above use CBT nuggets/Udemy courses are cheap. read the official study guide for it. lab it out to till you can do all the configuration without looking at your notes. you should be good.